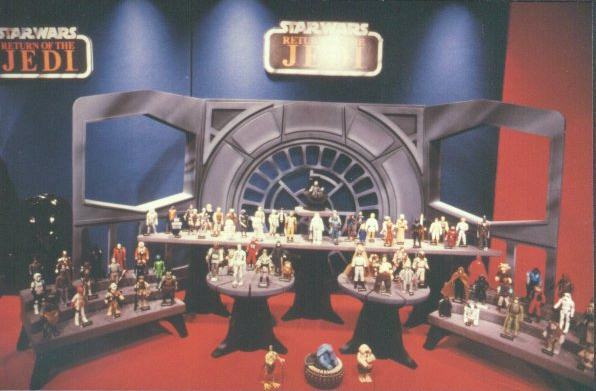 This mock-up was displayed at Toy Fair in 1984 and came from the former Kenner salesman who managed the showroom in New York. It was probably just made for display purposes and not intended as a product concept which becomes more apparent when you see the entire figure display and the presentation stands used. I don't know the play value that a toy like this would have had though. 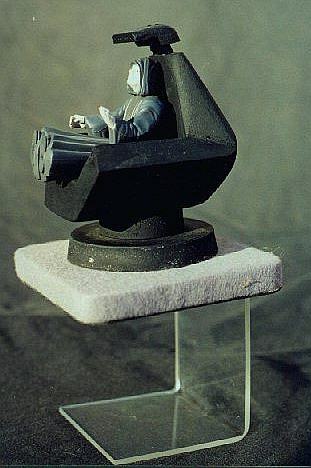 However, it looks like Kenner decided that 1997 provided a different set of circumstances and opted to include an Emperor in his throne with the POTF2 "Final Jedi Duel" cinema scene 3-pack. 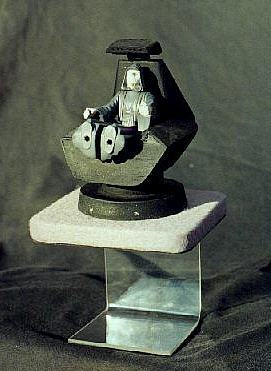 The throne is constructed of balsa wood and styrofoam and is totally hand made and hand painted. It is glued onto a gray felt-covered base that has a clear plastic stand affixed. It is crudely made and painted, but many toy mock-ups were made in a similar fashion with similar materials. 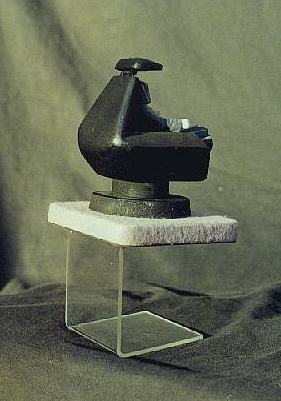 The Emperor figure is glued in the seat and the throne itself does not turn on it's base. This image of the backside shows the nice cuvature of the design. Even though it was made of crude materials, the workmanship is nice and very presentable.. This photo is a print made from a slide that was obtained from a completely different Kenner source. Here it shows the throne as the centerpiece for the impressive showroom display from Toy Fair. 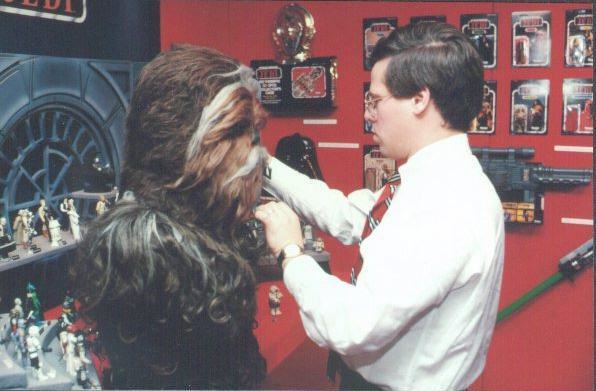 Chewbacca here is receiving some touch-ups inbetween visitors, but more importantly we get a slightly closer look at the throne over his right shoulder.